What if there was a way, to boost your immune system and keep it robust and strong so that you could ward off the many dangerous viruses and diseases affecting mankind? In this article, we are going to show you how you can do that by adopting some simple lifestyle changes and adding natural ingredients to your diet. What does our immune system do for us? Well, first of all, it acts as an internal defense system which prevents viral infections, toxins, microbes, and those nasty parasites from overtaking us. Because our immune system does this gently and quietly around the clock most of us don’t even think about the work it is putting in to protect us. In many cases, it’s when we get sick that we take note of our immune system and take measures to reinforce it. A weak immune system is mostly due to stress, nutritional deficiency, lack of adequate sleep and lack of regular exercise. At the Budwig Center, we focus on treating cancer naturally and a large part of the program we provide focuses on rebuilding the immune system of our patients. Those who have undergone chemotherapy and radiation often find that their immune system is noticeably compromised, so it is imperative that we work hard to restore it. The first step is to choose high quality nutrient rich foods, preferably organic. Plant-based foods would be our first choice. It has been said that in the Western world we’ve never been so well fed but so poorly nourished. Improper food choices, such as lots of processed foods and junk foods directly weaken the immune system. That’s why it’s no surprise to see more deadly diseases in the western world than some of the more underdeveloped parts of the globe. Garlic – Contains Allicin which actively fights infection and bacteria. Probiotics – Kefir, yogurt, sauerkraut contain good bacteria. Green Tea – High in epigallocatechin (EGCG) catechins. Mushrooms – Boosts white blood cell neutrophils that fight infection. Cruciferous Vegetables – Such as kale, cabbage, lettuce and broccoli. Ginger – Anti-inflammatory and antioxidant that also activates immune fighting T-cells. Berries – Blueberries, raspberries, acai and goji berries contain immune-boosting phytonutrients and antioxidants. Chicken Soup – Not tinned. Make from scratch using fresh ingredients. Oily Fish – Rich in Omega 3 essential fatty acids. It does this by impairing the ability of infection-fighting white blood cells (neutrophils) from reaching the impaired areas of the body. When the immune system is compromised, which is commonly the case with cancer patients, nutrition alone will not be enough to restore it. At the Budwig Center, we also use a variety of herbs, selected mushrooms, essential oils, and transfer factors. We also encourage all our patients to get plenty of sunshine. Dr. Joanna Budwig rediscovered the importance of sunbathing and urged her patients to spend time outside even on cloudy days. Not only does basking in the sun increase vitamin D but it also strengthens the immune system. For people who are not able to get adequate sunshine, vitamin D supplements would be highly recommended. There are four basic pillars that contribute to good health. High quality and nutritious food, adequate rest, sufficient amounts of water and regular exercise. One cannot rely on just two or three of these important pillars, all four must be given proper attention daily. Studies show that we don’t necessarily have to join a gym or do intense workouts to get adequate exercise. In fact, 20 to 30 minutes of walking every day or even common activities such as cycling, gardening, using the stairs instead of the elevator and stretching are also very beneficial. Gentle sports carried out on a regular basis can have a tremendously positive effect on our health and wellbeing. A cancer patient would be sure to never overdo it and push their bodies. Lack of enough exercise and living a sedentary lifestyle makes it more difficult to enjoy a good nights sleep. Getting out and getting some fresh air, moving and doing something different will be like a reset button to our mind enabling it to switch off at night. Stress is a killer! There is no other way to really express just how damaging it can be to your health. All these suggestions will also help you with sleeping better at night as you will be having more satisfying days. 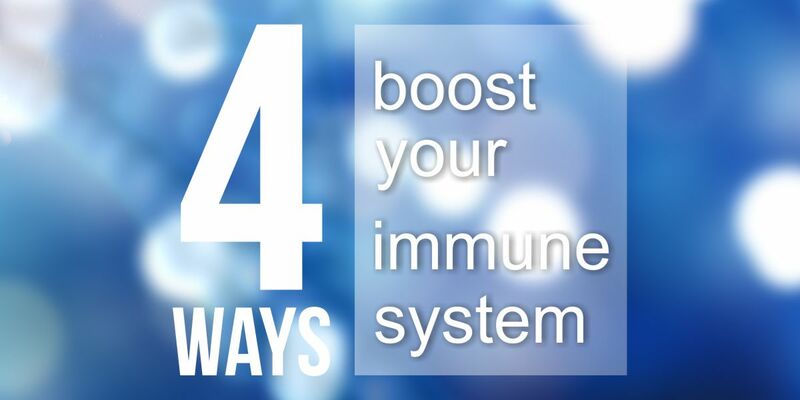 If you need any help with boosting your immune system, the Budwig Center would be happy to help. You may also download our FREE Budwig diet guide which contains a wealth of information on boosting the immune system and fighting all forms of disease. Can this also help to prevent Herpes disease? Herpes is a virus one gets through contact but it is true that having a strong immune system can prevent outbreaks when one already has the virus and this diet and protocol certainly helps to strengthen the immune system. Ya han sido 6 meses despues de la retirada de un condrosarcoma de mi muslo izquierdo y la colocacion de una protesis enorme de titanio de 75 cm. La resonancia magnetica hace 1 mes de la pierna dio que esta todo Ok. No obstante los micronodulos en el pulmon, que en diciembre pasado median 2 mm en la tomografia ahora miden 7 mm. El condrosarcoma no admite ni quimio ni radio. Por eso te pregunto que me aconsejas comer y que No Comer , para intentar reducir estos micronodulos. Gran abrazo a ti y al Dr Lloyd.